The scenery around the Sognefjord never fails to impress, providing the perfect backdrop if you want to plan a conference with a difference. The Sognefjord is the world’s longest ice free fjord, and a unique destination for any kind of event. But this is far from the only merit on our list. We also have Jostedalsbreen, the biggest glacier in mainland Europe; Vettisfossen, the highest waterfall in Northern Europe; the Nærøyfjord, which is a UNESCO World Heritage; the Flåm Railway, one of the most beautiful train journeys in the world; and world class salmon fishing. Around the fjord you’ll find small, picturesque villages with great local food and miles of hiking trails and adventures and other exciting activities. 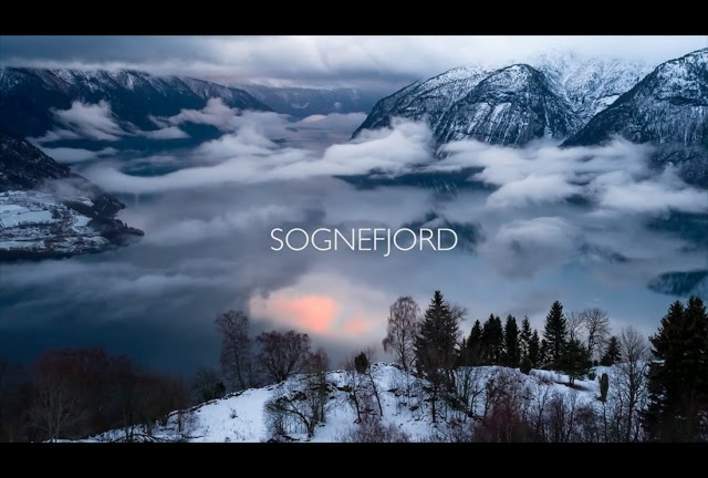 Sognefjord offers a variety of small village hotels and larger business hotels – all of them ready to offer the best level of services for meetings, business groups and events. We guarantee you and your colleagues an amazing tailor-made experience in the heart of the fjords. Welcome to meet and explore the heart and soul of fjord living! You can find more in-depth travel information at Sognefjord&apos;s official website. Flåm is the only train station along the Sognefjord, and well worth a trip in itself. The Flåm Railway was named the world’s most incredible train journey by Lonely Planet in 2014. The journey takes you from Flåm by the fjord to the top of the mountains and connects with the Bergen-Oslo Railway at Myrdal. There are several daily departures all year round. Comfortable express buses run daily all year round to the Sognefjord from Oslo, Bergen, Trondheim, Voss, Gol, Hemsedal, Fagernes and Lillehammer. During the summer season there is also bus connections with Oslo and Trondheim via Otta/Lom, over the Sognefjellet mountain and through the Jotunheimen National Park. If you travel by car to the Sognefjord area, the trip will take 2–3 hours from Bergen, 4–5 hours from Oslo, and 5–6 hours from Trondheim. Note that car ferries cross the Sognefjord and various fjord arms on several points. You can choose several National Tourist Routes on your way to the Sognefjord area. Throughout the year, daily express boats connect Bergen with many small villages along the Sognefjord. In the summer, there are also daily express boats between Bergen and Flåm. In the summer season, sightseeing cruises are offered between various destinations along the Sognefjord. Sogndal Airport has daily connections with both Bergen and Oslo. Flight times from 30 to 45 minutes.